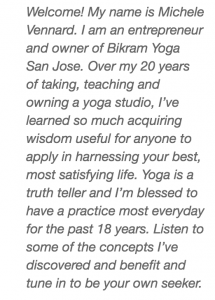 I have had several “stand-out” memories with Joseph Encinia over the years in my yoga life. One of them plays like a time-lapse: watching Joseph in competition year after year always in the top 10, falling out of either Standing Head-to-Knee or Standing Bow pose. Every time, it was crushing to watch, as you just knew this guy was something special. Nevertheless, he came back every year. Ironically, the year I judged the Men’s Division finals, Joseph managed to land all of his postures and do something completely unprecedented… Imagine someone doing a headstand, then releasing his head to push up enough to have their head come through their arms and look forward, now balancing on the forearms and elbows. Next, Joseph bent his legs, placing his feet on the top of his head. Then, he took his whole body (still in this shape) and pushed up into a handstand – from forearms to his hands! It was a mic drop, and if I am not mistaken, he won it ALL that year! Two years ago, I got to know Joseph. He became a good friend when he was here for our super-regional competition to act as head judge two years ago. Now I get to see him when I am out competing. He was USA Yoga President for more than five years and has made the organization noticed and professional! My latest memory of Joseph during competition travels was the kindness he extended while reading a clip that I wrote about my mother before my yoga demonstration – his delivery is what made me cry. Joseph is special. I did not know his story until someone shared with me how far he has come in his life with his sickness. I was baffled and intrigued. After I judged him, I finally Googled Joseph. What came up blew my mind: at an early age he was diagnosed with Rheumatoid Arthritis and given medications that made him obese and weak. At the age of 13, he had a heart attack from all the meds and after awhile, he found yoga – Bikram yoga. He’s 33 now, off all medication and has been practicing for 14 years. While he is not cured, the yoga helps him endure this painful disease. He’s youthful, full of vitality, married to the love of his life, lives in NYC, and travels everywhere inspiring many with his message and his life story. Because of social media, he’s known throughout the yoga world but is still one of the most relatable, down-to-earth guys you’ll ever meet. He was here this last weekend doing all sorts of things from teaching, hosting a workshop, guest speaking at a BYSJ Presents, and leading the best kid’s class I’ve ever seen. What was super cute, was seeing Joseph nervous before having to teach a huge 430 class of 88 people! And, yet another “stand-out” moment was his off-the-cuff mention to me in my office that he’s coming to terms with knowing that despite the specimen of health HE is and how important the yoga is to him in managing his pain – it’s not enough. Having had surgery just seven months ago on a tumor in his wrist, there is looming fear that there might be others. “It’s time to work on the more mental part of my practice now and accept what I have,” says Joseph. Wow. Such vulnerability and honesty and what we got from his visit to BYSJ was beyond what I imagined! We, too, can benefit from his message of acceptance. Joseph advised quite a few times in class and in his workshop to work with intention and intensity. Joseph and I had a 10-minute conversation in my office that Jessica recorded and which you can hear with this link. In it, Joseph dives into his take on the need to have intention, which might change often or as much as daily and then use the tools of this practice (your poses) to work with intensity. “It keeps the practice fresh and meaningful, otherwise, you are prone to boredom as you’ll practice in autopilot mode getting nothing out of the 90 minutes.” It can be as simple as “today, I’m not going to let others that fall out of the pose in front of me, bother me and I’ll just breathe through the frustration” or, “today, once I hit my struggle point in a pose, can I breathe and go 5 more seconds?” This is important too, as a lack of focus will automatically pull you in a downward spiral of negativity and judgment, as the world tends to lean into chaos. 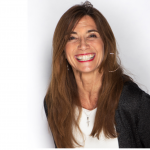 Put an inspiring spin on your practice with a specific good intention and you’ll stay out of the weeds of darkness and move upward into the light of an energized positive vibe that is always more useful and more satisfying. In his Beginner’s workshop, Joseph emphasized the necessary use of the core in each posture. Over four hours, he took apart each pose from beginning breathing to final breathing and had us try the skills he emphasized. Additionally, in 15 minutes he demonstrated the entire series of poses in full expression! What I enjoyed the most was watching him be so animated with his body that he could clearly show you the right way and the wrong way. I thought it was comical but it showed just how much control he has over his body. Last year, Joseph spoke at a BYSJ Presents just before the yoga competition highlighting aspects of what yoga competition is, his journey towards being champion for a number of years, and how he manages with the condition he was born with. It was super. This year as Joseph first arrived, we were in my office catching up, and he says, “what should I talk about?” I thought it was endearing and humble as we all know that Joseph could say, “today I’m going to share with you how I iron my shirts” and we’d all still sit there transfixed! But, what he meant was, “My life has changed in the last seven months. I now grow Micro Greens and my practice has gone from the physical to the mental.” He elaborated more, and I just said, “Great, talk about that!” There are a few clips on Facebook that you can link to and listen if you’d like, as it’s a great piece with his free-flowing thoughts streaming out of him. Samadhi: 8th limb, the final state or the fruit of the tree, which is bliss or enlightenment. According to BKS, all of these are important to balance, it’s nature; and we are nature. For Joseph, these are his study now as he works to accept his condition knowing that regardless of what he does with his body (and he’s the BEST example of what it means to be healthy and in shape) the only way out of pain is through mentally acknowledging his condition without succumbing to anxiety. How can one live at the highest level of ease and grace despite the erratic behavior of a body filled with dis-ease? Sensory withdrawal allows for surrender and detachment to the surroundings and internal chatter we hear between our own right and left ear, so as to not lose peace, not to lose joy. Joseph goes on to say a quote from BKS Iyengar that you can tell he is living by: “Yoga helps you to cure what need not be endured and endure what cannot be cured.” Your yoga practice will help you discern between the two, making for a much happier life. A friend of mine introduced me to this idea of allowing for everything and accommodating very little. Accept someone’s insecurity rather than manipulating around it; recognize the pressure of your job and stop trying to meet other’s expectations; see that your child is struggling instead of denying anything is wrong. And a big one for us in our world today, agree to disagree. In other words, accept another’s perspective without accommodating by means of justifying, convincing, shrugging it off, ignoring or even giving in. Simply give space to whatever is there. What I particularly like about Joseph’s latest awakening is the maturity it delivers. Notice that Joseph did not decide to go to another type of yoga discipline and he did not say he was seeking different medication or bringing in a new doctor for a second or third opinion. Those are all well and good, but only serve to keep him on the treadmill of seeking external measures, of seeking the “next best thing”. Instead, he sees that the only way to achieve that which he seeks is from within, and that’s now the control of the mind and not the control of his body. Our lives can forever move in a horizontal manner skipping from one soap opera to another. But our real life is the vertical in which we go in and go up, favoring deeper awareness, a more open heart, a surrendering to life’s circumstances, and the control of one’s monkey mind. I consider this lesson from Joseph so profound because the mask comes off, letting go of what we think we should be and instead, like Joseph, seek acceptance, including peace with our shortcomings and our struggles. Only when we do this do we have true power. We become compatible with all beings; we acknowledge that all of us have shortcomings. Like Joseph, practice your yoga as a path to acceptance and watch how you’ll inspire others to do the same – enough of that, then one day we will all get along. Thanks Joseph!